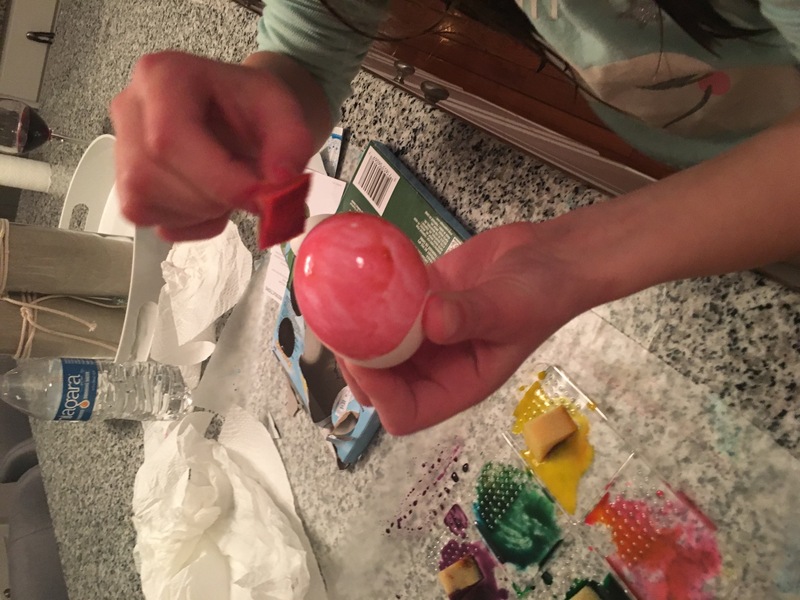 It’s almost Easter time again! 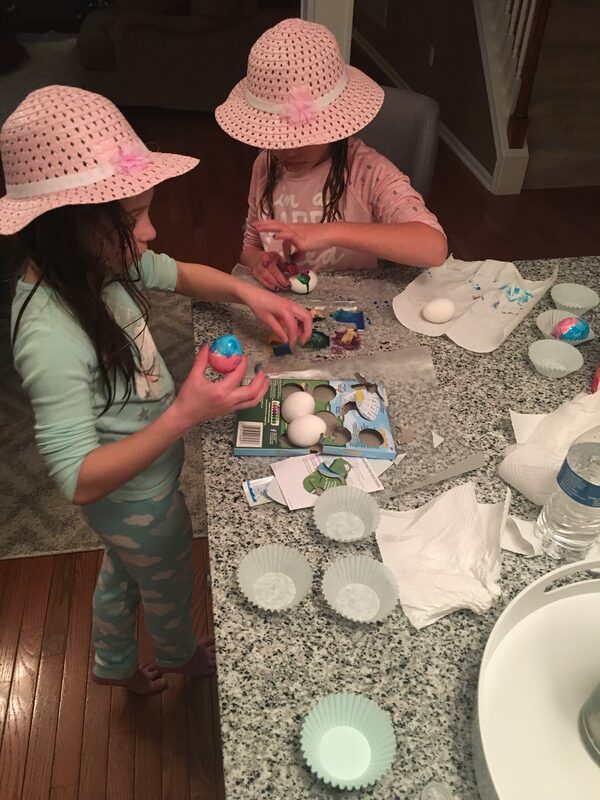 We had lots of Easter fun with Shake-n-Egg Easter Egg Decorating Kits from the Dollar Tree! A really great time for the bargain price of $1 for the kit. I had to look up exactly how to make hard boiled eggs because I haven’t done it since last year. You just put the eggs in a pan and bring them to a boil. The remove pan from the stove and let them sit in the boiling water for 9 minutes. When the timer goes off, rinse them with cold water to stop the cooking process and that’s it! 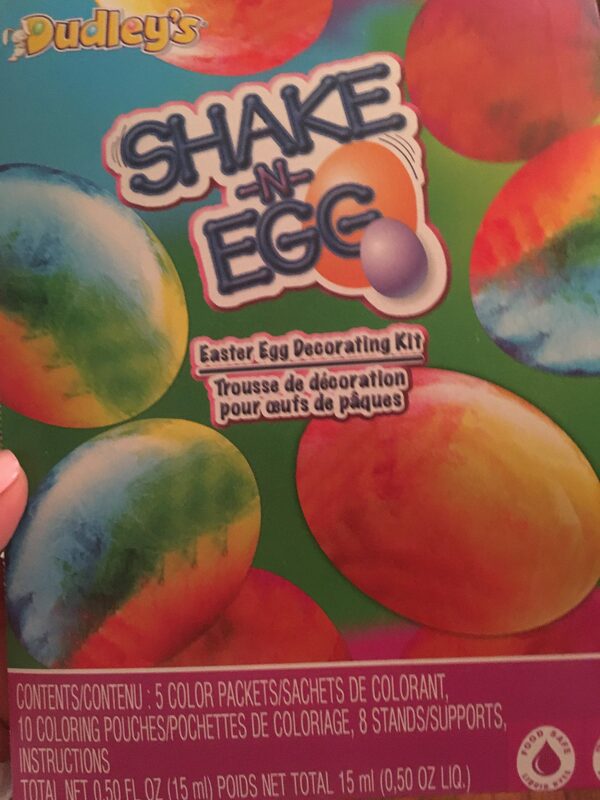 This kit comes with a lot of beautiful, bright colors, and a plastic insert included to separate the colors and keep the colors from running together. The die comes in separate packets and it was easy to pour them into the plastic holders. 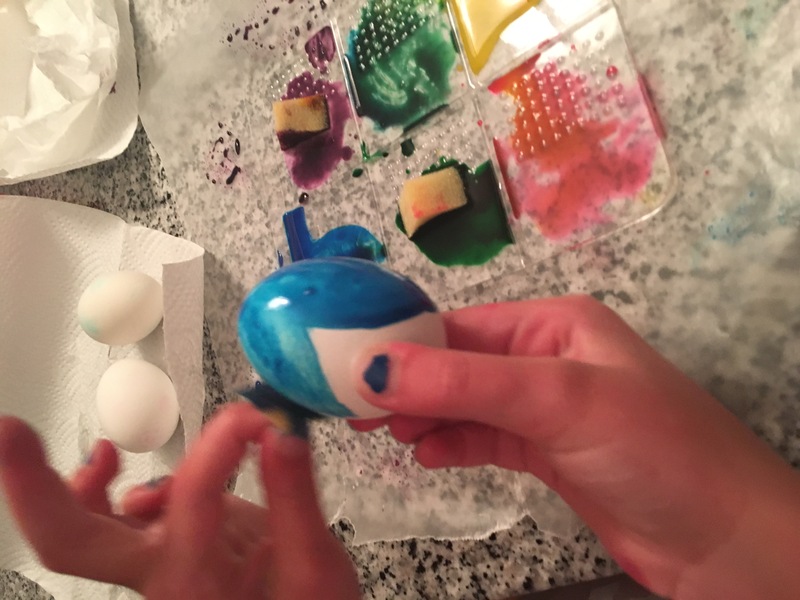 It also includes sponges for each color to apply the die. 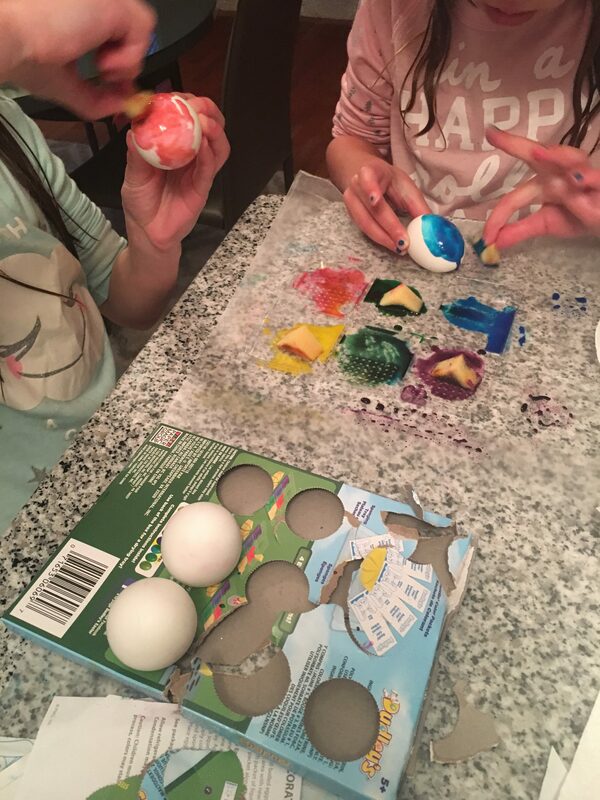 As you can see, we had some serious egg decorating taking place. 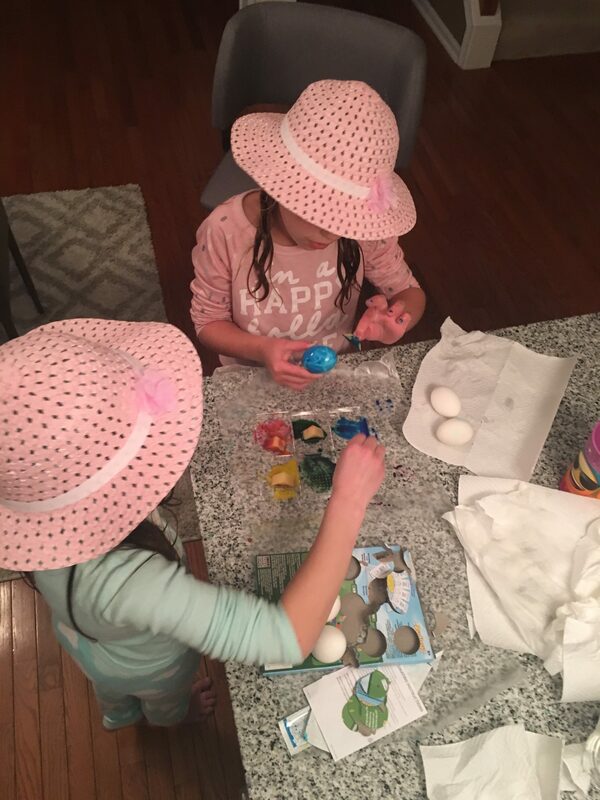 The matching Easter hats was the icing on the cake!